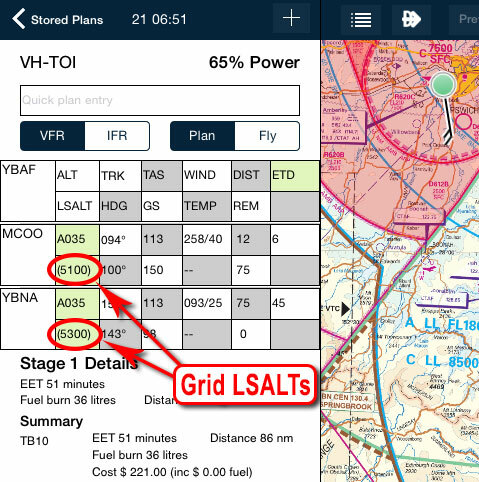 Whenever you plan along an air route, the LSALT (Lowest Safe Altitude) for that published route is automatically entered in your flight plan. …But what happens when you are planning off-route, like to a private airport? Well, AvPlan EFB has still got you covered. These Grid LSALTs will generally be much higher than those calculated by you or the promulgated figures for a published route, but you will certainly be safe! If you do calculate your own figure, you can tap in the field and overwrite the Grid number. Once you’ve done this, a small ‘User’ flag will appear next to it. 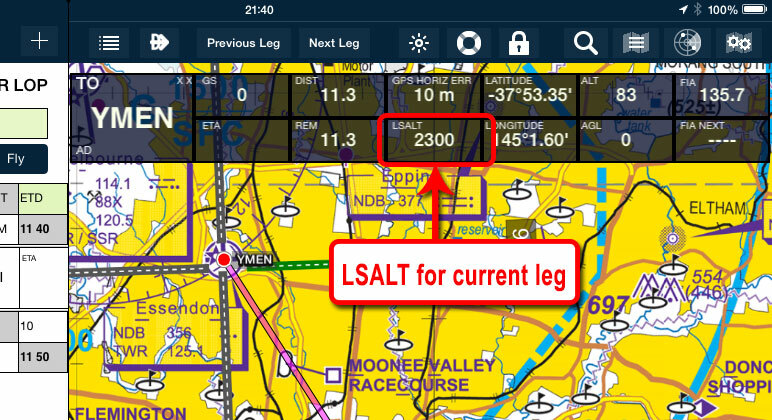 It’s also worth noting that when you later plan between those two waypoints in a future flight plan, your user entered LSALT will be recalled for you. If you are a Pro Upgrade subscriber, you can easily access our handy LSALT calculator tool. Simply double-tap the leg line on the map to bring it up. This will draw an RNP2 boundary around it, then display the highest terrain and known obstacle within it. You can then choose to accept and agree with the computed figure, or calculate your own. There is also one more convenient place to view current LSALT information whilst in flight: The HUD (Heads Up Display).